Flower Stefana Greek wedding crowns with lemon blossom and roses. 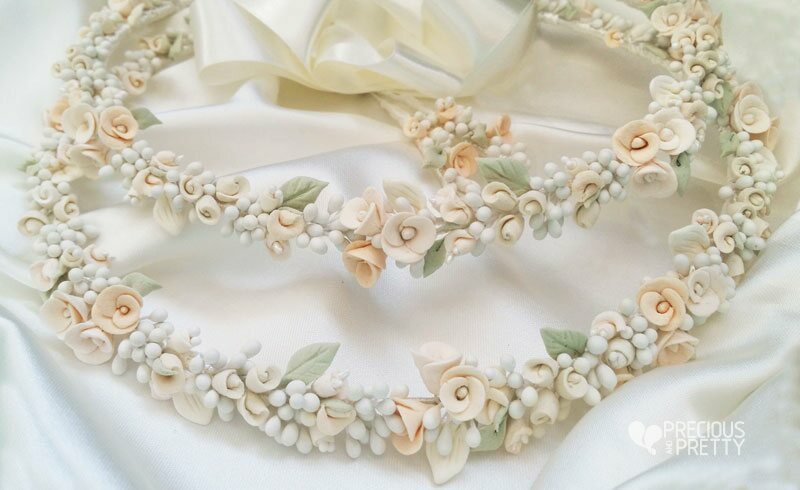 The flowers of these romantic crowns are totally handcrafted with porcelain. The pastel colors and their elegant style, makes them easily fit all kind of weddings. They are tied together with a long ivory satin ribbon. Colors can be changed on request to perfectly match your wedding theme. https://www.preciousandpretty.com/2018/12/flower-greek-wedding-crowns-n454.html Greek Wedding Favors|Orthodox Crowns|Stefana|Baptism Invitations Flower Greek Wedding Crowns N454 Flower Greek Stefana wedding crowns with lemon blossom and roses Product #: Greek Wedding Favors|Orthodox Crowns|Stefana|Baptism Invitations_3331481886114054149 5 stars out of 5 reviews.